This language arts poster is one of a 12-poster set that explains the different types of poetry. 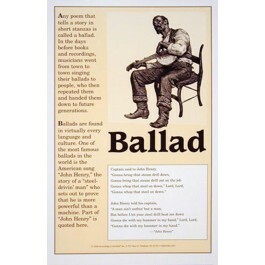 This poster focuses on the ballad, and features an attractive illustration of a balladeer, along with text that explains what a ballad is and some background about ballads. 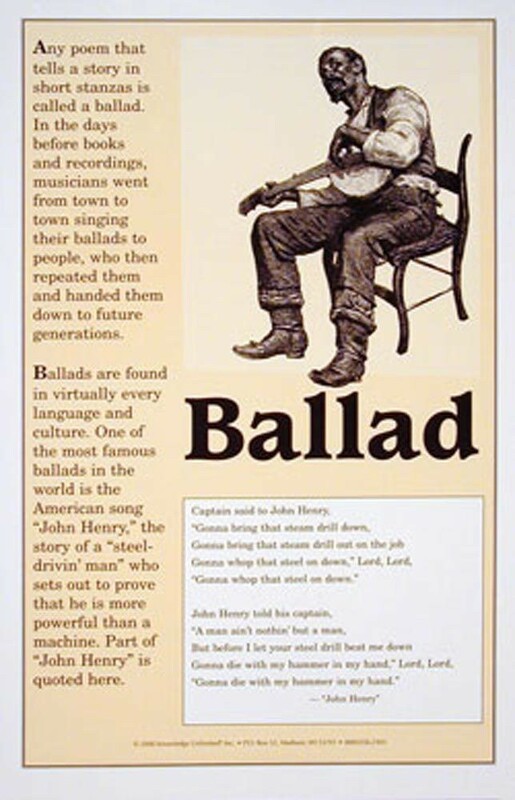 The poster also contains an example of a ballad, in this case an excerpt from the famous American song "John Henry."